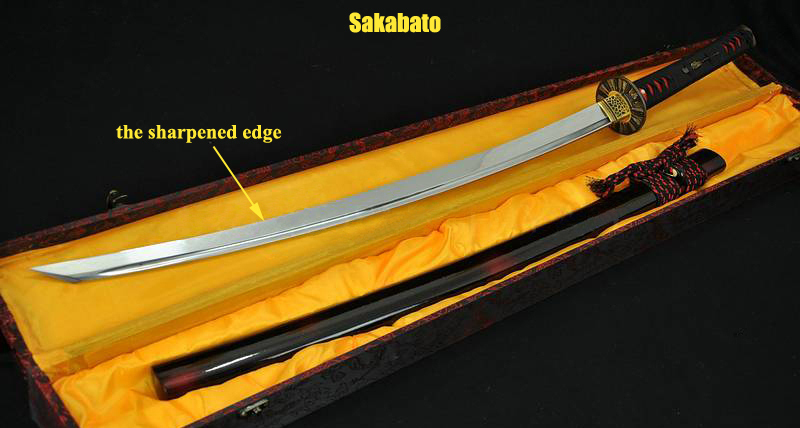 Reverse-edged blade is called sakabato. 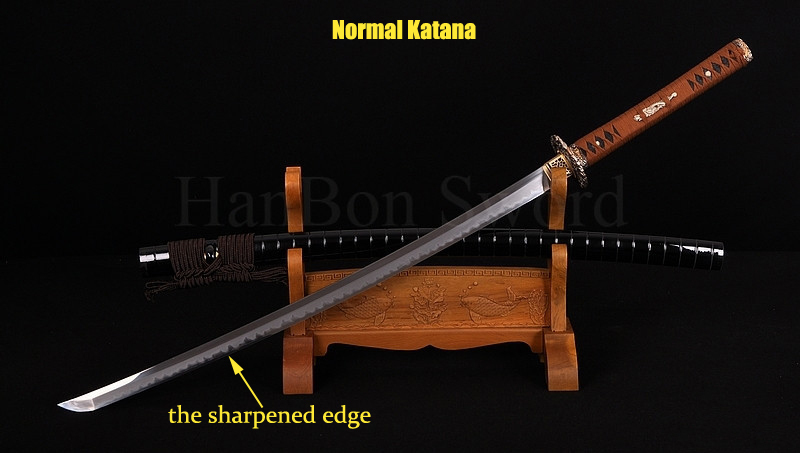 On a normal katana, the outward curved side of the blade is sharpened, while the inward curved side of the blade is blunt. In contrast, the sakabato is a strange blade which designed as a simple katana with its blade forged on the opposite side than normal, making it a sword ill-fit for killing. A reverse blade make it harder for them to defend against in combat. It generally knocks the wielder's enemies "senseless" rather than killing them, which is used normally would only inflict blunt force trauma which can't cut or kill.